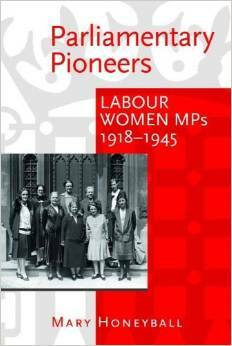 Now that Labour Party Conference is over and a new Leader elected, it may be a good time to think about a previous Labour Government, 1945 – 51, in fact, generally thought of as the most radical Labour administration ever. Here is my review of Nicklaus Thomas-Symonds book Attlee – A Life in Politics which has just appeared in the October issue of Total Politics. Few would disagree that the 1945–50 Labour Government was the most radical Britain has ever seen – the National Health Service, national insurance and the modern welfare state, nationalisation of gas, electricity, the railways and the mines, not to mention independence for India and Pakistan. Yet Attlee was an unlikely Labour Leader when he was first chosen in 1935. Irredeemably middle class with a solicitor father, Atlee had it all – Haileybury, University College Oxford, a comfortable legal career and the rank of major gained in the First World War. Yet he joined the Labour Party and became its longest-serving Leader. All governments have their bad times and Attlee’s was no exception. During the 1947 balance of payments crisis the Times ran the headline “Food cuts, Basic Petrol to be stopped; Rigorous Limits on Travel Abroad; Prospect of further economies.” Things only began to look up when Britain received $3 million in American aid. In fact, 1947 proved the beginning of the end. Having seen off the leadership ambitions of Herbert Morrison amongst others, Attlee won the 1950 general election with a reduced majority. He then called another in 1951 only to be defeated. Stepping down as Labour Leader in 1955, he never returned to power. Attlee’s political motivation came from observation not personal experience. As a young man doing voluntary work in London’s East End, he saw the very worst of pre-world war one social conditions. He never forgot and ultimately proved successful in changing our society for good. Even if Attlee was not a particularly extraordinary individual, his career was spectacular. Yet Thomas-Symonds fails to make the most of the years 1945–50. The book’s prosaic title, Attlee – A Life in Politics, sums it up. This is a quintessentially academic book, lacking any real passion when the subject matter provides huge scope for emotion, both good and bad. Thomas-Symonds method of describing events chronologically is not the most digestible way to present the material. Analysis by subject would have made reading easier. In addition, there was little sign of the new documentation we were promised on the dust jacket. Perhaps the most glaring omission is any real attempt to look at Attlee the man. Yes, he was quiet and private but he was also a prolific letter writer, an occasional poet and a family man. Nicklaus Thomas-Symonds alludes far too sparingly to these aspects of Attlee’s life, just as he fails to draw out the characters of the other main protagonists; Morrison, Bevin and Bevan appear little more than ciphers. Politics is ultimately about people. If Nicklaus Thomas-Symonds had concentrated more on the personal he may have produced an interesting and enjoyable book rather than a merely competent one.